When I was fourteen years old my grandmother asked me if I wanted to take a vacation. For some reason at the time I wanted to see Niagara Falls. So, a short time later my grandmother, her husband Miles, my sister Rhonda, and I packed our bags and headed east. What my grandmother didn't tell me was that she wanted to go to New Jersey to visit her sister. I didn't know this little tidbit until we were well on our way. I didn't want to go to New Jersey. What the hell was in New Jersey? In did turn out, in fact, that I hated New Jersey, but I did love swimming in the Atlantic Ocean. I figured that when I was in the ocean I technically wasn't in New Jersey anymore! I also enjoyed traveling across the country and visiting places I've only seen on television or in books. Just in case you're curious, I did love Niagara Falls. Sailing on the Maid of the Mist toward the Falls is one of the most memorial moments of my life. Canada was also wonderful. I'd love to go back. We were gone for a total of two weeks in 1984. That was my only vacation up until May 2001. I've taken several overnight and day trips since then, but no long trek across the country like in '84. After seventeen years of being stuck in Kalamazoo I was ready to get back on the road. 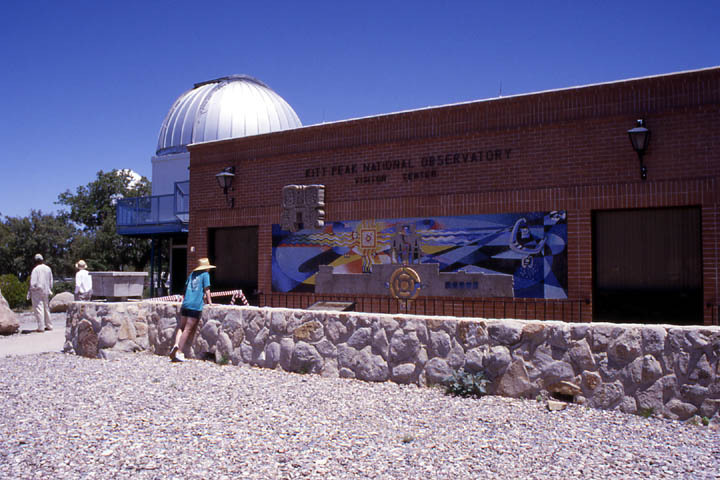 I've always wanted to travel to the southwest and experience a dark desert sky and see the famous astronomical observatories I've only read about. My opportunity finally came in May 2001. I finally decided that I was going to attend the Texas Star Party - a week long experience of amateur astronomy and dark skies. I've wanted to attend TSP for several years, but either money or lack of suitable transportation kept me away. 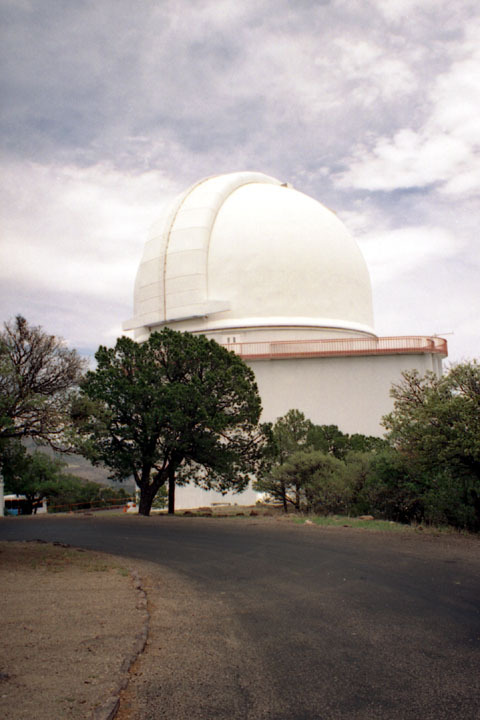 The Texas Star Party is held at the Prude Ranch near Fort Davis in west Texas. It's about a 28 hour drive from Kalamazoo. Tucson, Arizona is an easy drive from Fort Davis, so this was it! My chance had finally come to take a dream vacation. 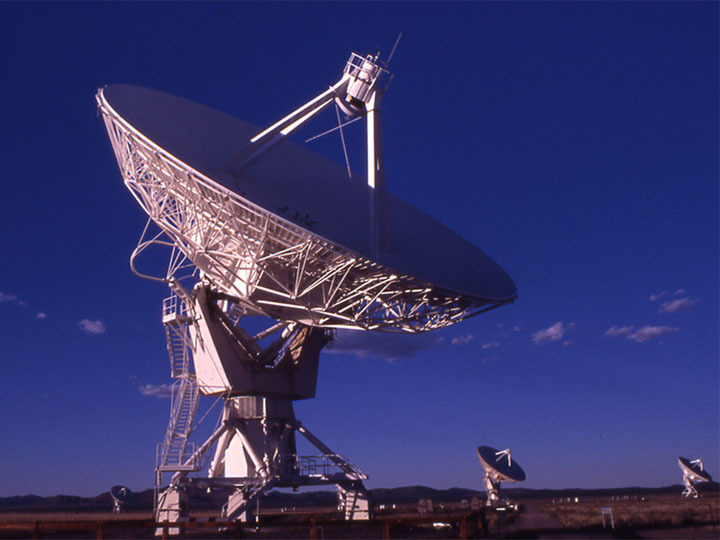 Go to TSP for a week, visit the Kitt Peak National Observatory, and swing by the Very Large Array on the way home. What more could a young astronomer ask for? As it turned out, several members of the Kalamazoo Astronomical Society also expressed a desire to travel 1500 miles for dark skies. The KAS TSP contingent consisted of David Brown, Beverly Byle, Jean DeMott, Rich Mather, Kerry Robbert, and me. My driving buddy was Jean DeMott, which worked out great since she doesn't own any heavy duty astronomical equipment, so we had room for all my stuff! She also had enough vacation time and the desire to visit all the places I wanted to go. But, like my grandmother, we had to go to places she wanted to see as well. It didn't turn out nearly as bad as New Jersey did though! After months of planning and preparation the day had finally arrived. Jean and I headed west on Friday, May 11, 2001! Our first stop was appropriately enough the "Gateway to the West" St. Louis, Missouri. Fortunately Jean has an old friend in St. Louis, so we had free room and board. We stayed in and relaxed on Friday night. Our first destination on Saturday was the famous Gateway Arch, which is America's largest national monument. The Arch is 630 feet high, which is 325 feet higher than the Statue of Liberty and 75 feet higher than the Washington Monument. 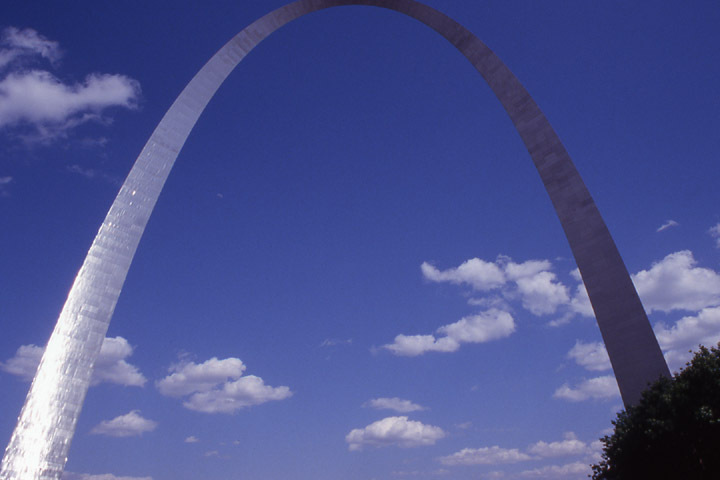 It was designed by the renowned architect Eero Saarinen, who won a competition in 1947 to design a monument to the westward expansion in St. Louis. Saarinen's major concern "was to create a monument which would have a lasting significance and would be a landmark of our time". He was successful. It is an awesome sight. After we took a good look at the Arch we visited the Museum of Westward Expansion, which is directly beneath the Arch. The exhibits were excellent. There was a detailed history of the 19th century and the Lewis and Clark expedition. Of course, the best feature of the museum is the ride to the top of the Arch! The only way to the top was to ride the Tram, which bared an uncanny resemblance to the "pod" in the movie "2001: A Space Odyssey". The Trams (there were at least eight of them) couldn't have been more than 6 feet in diameter and only four feet high. Five people crammed themselves in each Tram and took the four minute ride to the top. Once at the top you walked up an uneven set of stairs to the top of the Arch. The top looks somewhat like the passenger section of a jet airline, but had more of a curve to it. The view was astonishing! Directly below on the east was the Mississippi River and to the left was a bird's eye view of St. Louis. There was no time limit as to how long you could stay at the top, so Jean and I took a good look out each window. Once we were finished we took the three minute ride down to the museum (faster going down since we're working with gravity - gulp!). After a day of rest and relaxation in St. Louis, Jean and I continued our journey west. Our route was simple - drive southwest on I-44. After 4.5 hours we finally left Missouri and crossed the border into Oklahoma, where we spent the majority of our day. This route took us through most of Oklahoma's major cities; first Springfield, then Tulsa, and finally Oklahoma City. My summation of Oklahoma is this; rolling wheat farmland and semi-wooded cattle rangeland. Yes, lots of bovines! After 11 hours of driving we finally arrived in Texas, but we were a LONG way from Fort Davis. One more hour of driving through Texas and we stopped in Wichita Falls. It seems strange to have a city named Wichita Falls in flat, mostly barren Texas. The town was first settled in 1882 and named after a 5 foot water fall, which was washed away by a flood four years later. After 105 years, the city of Wichita Falls restored a piece of its past when it reestablished the falls in 1987. This time with a 54 foot high cascade that was built downstream from the original waterfall. We were on the road again come morning. For a brief time we continued on I-44, but jumped onto I-20 near Abilene, Texas and headed due west. Finally things began to change. Thus far in our journey, the climate resembled Michigan; green trees and grassy fields - just a lot flatter. Now, however, everything was taking on a more arid appearance; lots of scrub brush with some cacti scattered here and there. 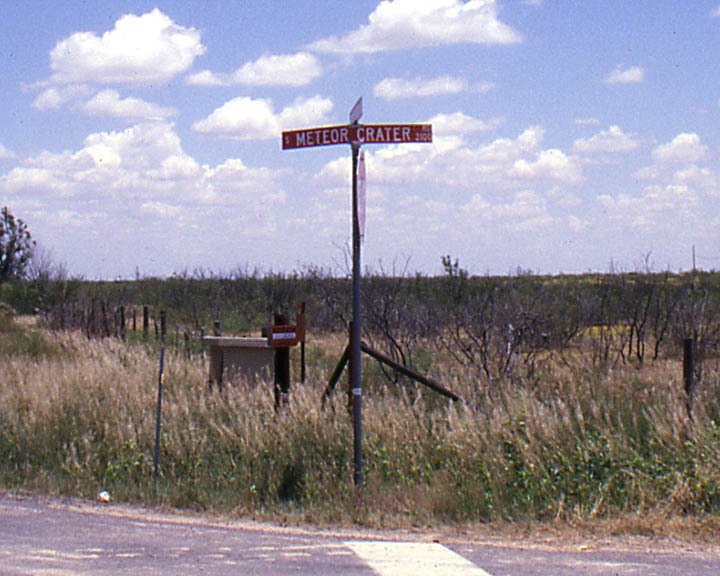 Occasionally we had to slow down for small, four corner towns and even a larger town like Big Spring and Midland. I wished we could have stopped in each of these towns and explored for a bit, but our goal was clear. Get to Fort Davis as soon as we could. There was one stop that we just had to make. As we approached Odessa I saw a road sign that said "Meteor Crater". I had almost forgotten. We were getting close to the Odessa Meteor Crater. Finally, the astronomical part of our trip had begun. We jumped off I-20 and did a little exploring. After a brief wrong turn we finally found our way to Meteor Crater Road and then to the crater itself, which is in the middle of an oil field. Hey, it's Texas! I had already warned Jean not to expect too much. This wouldn't look like the famous Barringer Meteor Crater in Arizona. The information area was certainly underwhelming. It was just a rough picnic-like shelter with a few shotgun holes in the roof. Hey, it's Texas! However, all the information given on the posted signs was sufficient. 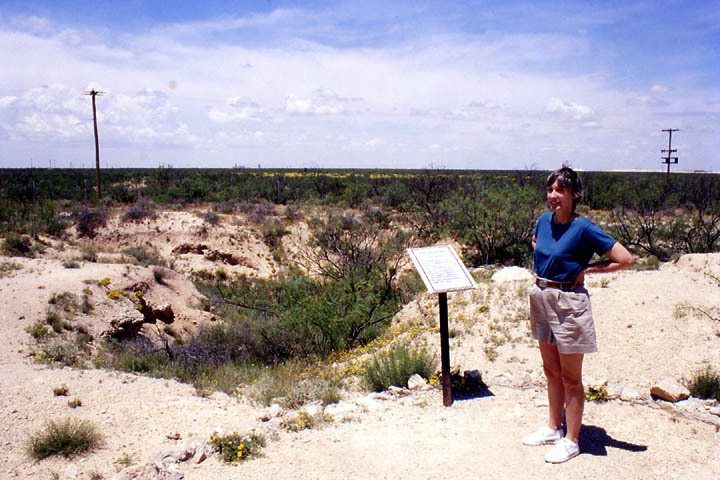 The crater was formed when an iron meteorite plunged to Earth some 25,000 years ago, shattering Cretaceous limestone bedrock and leaving an explosion pit 550 feet in diameter. 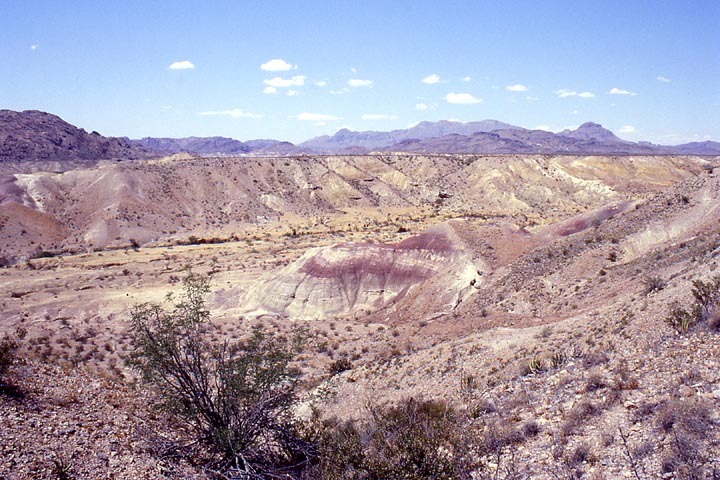 Over the centuries desert winds silted the crater level with surrounding plains, and the site was not identified until 1922. Today a marked crater trail winds through the crater. You only realize that this is indeed a crater until you view the crater rim from the inside. There are actually three craters on the site, but the other two bare no resemblance to an impact feature. 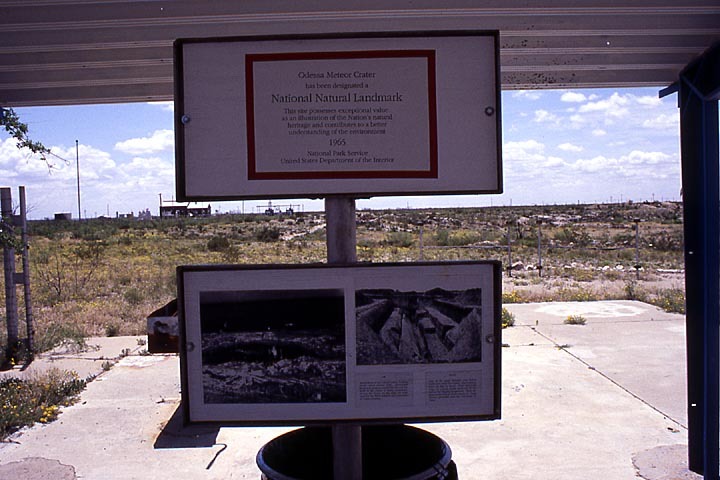 Maybe not the most exciting astronomical attraction in the U.S., but if you're ever on your way to TSP and see the sign labeled "Meteor Crater" then by all means take the time to check it out. After our visit to the crater Jean and I hopped back onto I-20 and continued our journey. This was it. 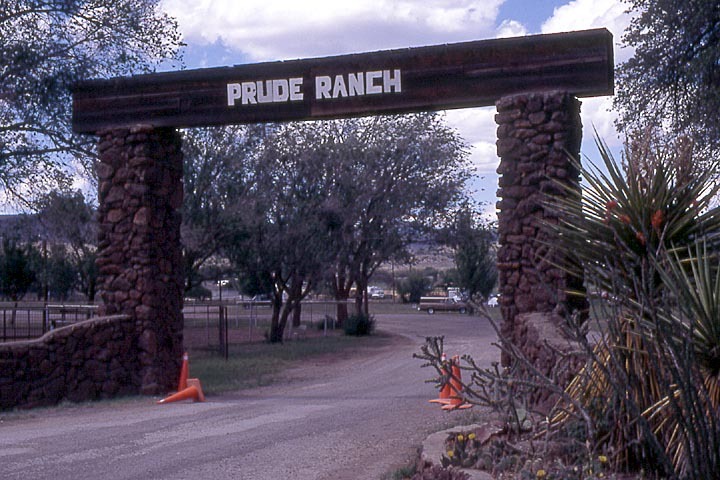 Our next stop was the Prude Ranch! I don't remember exactly where we were, but finally we saw some mountains off in the distance. We concluded that those must be the Davis Mountains, but we still had a ways to go. The drive into the mountains was incredible. The megalith appearance of the rock strata is amazing. It looks so manmade, but they're totally natural. Finally, as we curved around one mountain road after another we saw a ranch filled with many dust-covered telescopes. 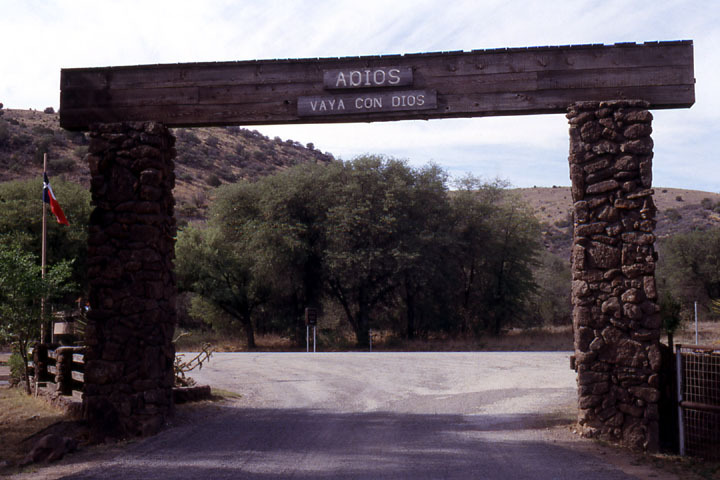 After nearly 1600 miles of travel we pulled into the main entrance of the Prude Ranch. I couldn't believe I was finally there! We gave our names to a TSP volunteer and proceeded to office to check in. Amazingly enough Kerry and Dave were there to greet us. How did they know exactly when we would arrive? Our first task was to pay for our housing in the office and then register with the TSP people. We then drove up to our home for the next week; the Harmony 5 bunkhouse. Our bunkhouse was just that, a house filled with a line of bunkbeds with an adequate bathroom and shower. We had wondered if another club or TSP attendees would share the bunkhouse with us. It didn't turn out that way. There were several empty bunks, but space would have been tight with every ones bags, so everything worked out perfectly. Kerry then rode with me to the upper observing field, which is considered the best because of its higher elevation. I then proceeded to setup my Meade 10" LX200 next to Kerry's 16" truss-tube Dobsonian. Kerry reported that skies were clear for only a brief time on Sunday night, so I didn't miss that much. Monday night wasn't much better. The sky was covered in a layer of haze. Even through the haze I could tell I was in store for some of the darkest skies I've ever encountered. I could wait another day. Jean and I were both fatigued from a 10 hour day behind the wheel, so we turned in after learning to navigate our way around the ranch at night. Tuesday was a day with no activities scheduled (besides a bus tour to McDonald Observatory, which was already booked to capacity), so Jean and I decided to pack up some water and snacks and headed south. Our first stop was at Fort Davis, which is the highest elevated town in Texas. 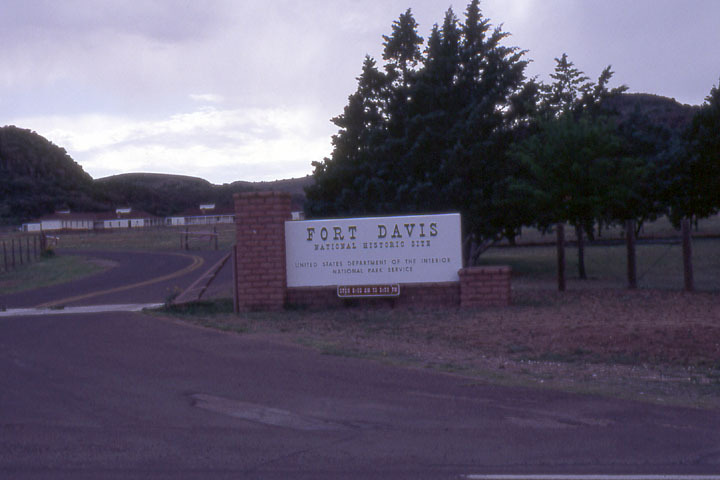 Fort Davis was a bit bigger than I had imagined, but most of the main buildings were on a single road. 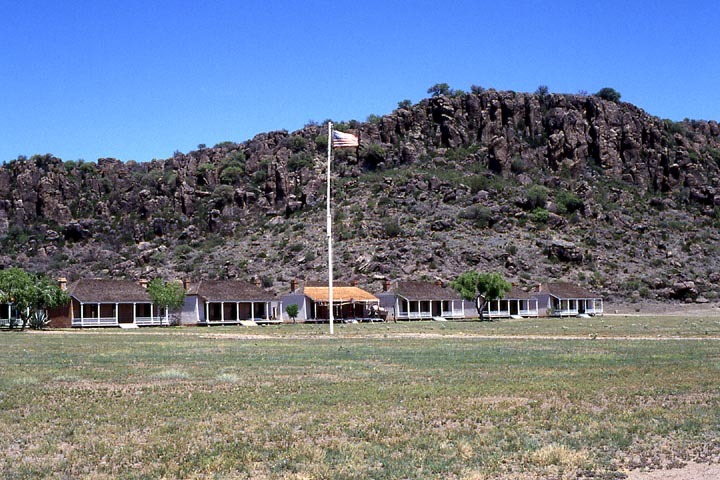 The centerpiece of Fort Davis is the Limpia Hotel, which is named after Limpia Creek. The first thing on our agenda was to look for a tarp, so we went to the only hardware store. Predictably enough they were completely sold out. We continued on to the next town, Alpine, which is quite a bit larger than Fort Davis. A suitable tarp was found at the True Value and Jean found some goodies at the local dollar store. 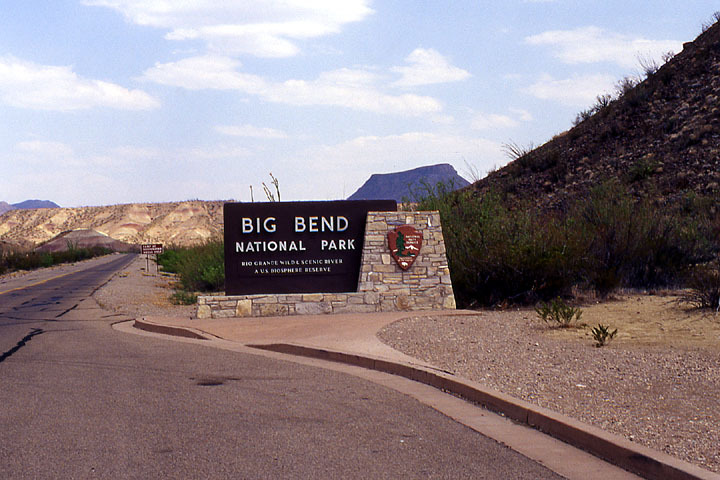 We left Alpine and continued south on Highway 118 until we reached our destination; Big Bend National Park. Words cannot describe the beautiful landscapes we saw and we only had time to explore a tiny percentage of the park. After a great afternoon of examining the local vegetation and viewing the rugged terrain we headed back to the Prude Ranch for dinner. Tuesday night was the first and only totally cloud free night. My main objective of the week was to photograph as much as I could, but I wanted to spend at least the first night or two just observing. 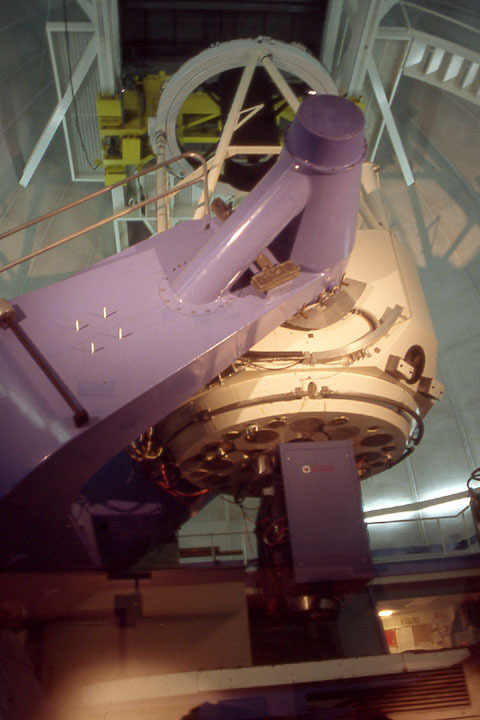 Of course, once the stars began to appear my first task was to polar align my telescope. Once that little chore was out of the way I finally got to observe under truly dark skies. Most of what I observed that night was stuff I've seen before, but many of my old friends look different through the transparent Texas skies. The galaxies of Leo stood out like never before and the bright nebulae in the heart of the Milky Way were breathtaking. Then I made new friends, which I visited over and over again throughout the week. I wasn't going home until I visited Omega Centauri (NGC 5139) and Centaurus A (NGC 5128). Omega Centauri, an immense globular cluster 15,600 light-years away, was first. No photograph can do this collection of perhaps 1 million stars justice. M13, the best globular cluster in northern skies, is dwarfed by the metropolis of stars. Actually, it wasn't as bright as I had thought, but it's VERY rich in stars. Centaurus A is a curious object. It's an elliptical galaxy wrapped in a shroud of dust - obviously the scene of two galaxies that collided eons ago. I will have the image of this galaxy as it appeared through my 'scope etched in my mind for as long as I live and I can't wait to see it again. Wednesday was a day of interesting presentation giving mostly by Texas amateurs. Becky Ramotowski of San Antonio gave a nice presentation on "Keeping an Astronomical Journal" despite the fact that she was about ready to lose her voice! Houston's Larry Mitchell, who had his 36" Dobsonian setup just down field from me, gave the next presentation entitled "Explosions". Steve Coe of Phoenix, AZ discussed "Dark Nebula" at 3:00 pm. 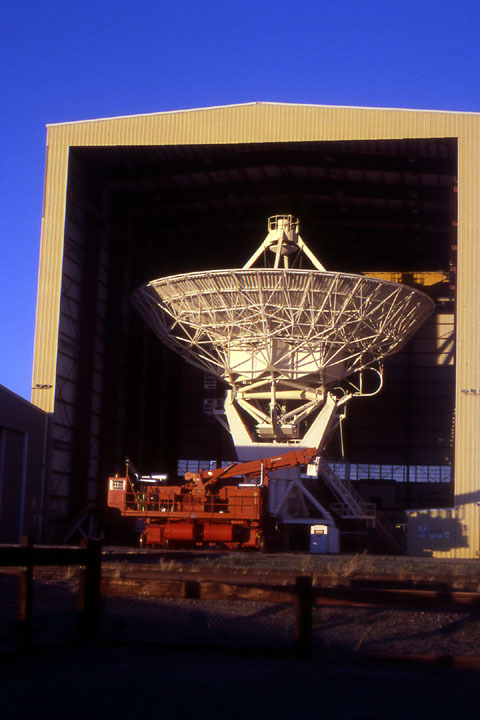 NASA's Elizabeth Warner was invited to talk about the Deep Impact mission to a comet. Finally, Paul Derrick of Waco gave a nice presentation called "First Views of the Southern Sky". This was about his trip to New Zealand. The keynote speaker of the evening was Pamela Gay from the University of Texas. She talked about her research which dealt with moderate red-shift galaxy clusters. That's a whole other article! Wednesday night was once again unfortunately clouded out, so we just spent some time walking around the ranch and talked with whomever we bumped into during the night. None of the afternoon presentations on Thursday really interested us, so Rich Mather, Jean, and I once again left the ranch and continued to explore the area. 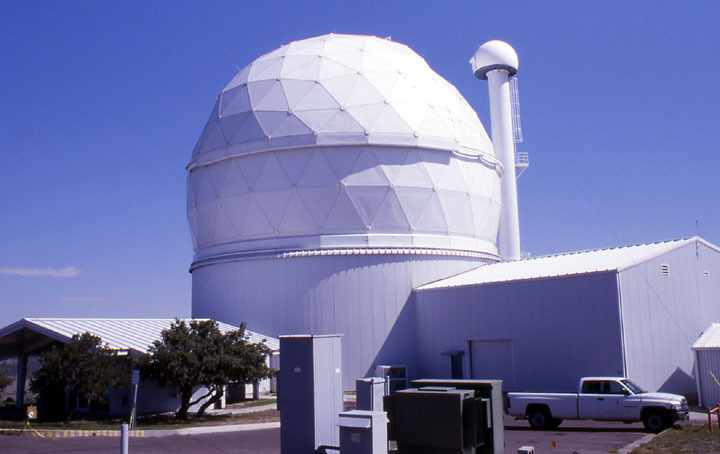 Another attraction of the Fort Davis area is the Chihuahuan Desert Research Institute, which has a nature trail related to the local desert flora and a greenhouse containing dozens of variety of cacti. You could even buy your own cacti to take home, which Jean couldn't pass up. One the way back we checked out the Davis Mountain State Park, which was the original locale of the Texas Star Party. We didn't have time to check out the trails, so we check out their rooms which are very nice. The keynote speaker on Thursday night was noted author Timothy Ferris. The main part of Timothy's presentation was to read a chapter from his upcoming book "Seeing in the Dark". After the excellent presentation I made sure to get my copy of "Galaxies" (written by Mr. Ferris) autographed. Thursday night started out cloudy, so we decided to catch some sleep and check the skies later in the night. Rich Mather woke me up at about 2:30 and told me the skies were incredibly clear! So I dragged myself up to the observing field. This was the night I decided to spend taking some photos. My first was my one hour shot of the heart of the Milky Way with my 28 mm lens. Next was a 25 minute exposure of the M6 & M7 region with a 135 mm lens. My next target was the North American Nebula. I was 20 minutes into a 45 minute exposure when the waning crescent Moon rose over the mountains in the east. I'm curious as to why the TSP people scheduled this year's event from May 13 - 20. May 20 - 27 would have been more ideal for us astrophotographers. 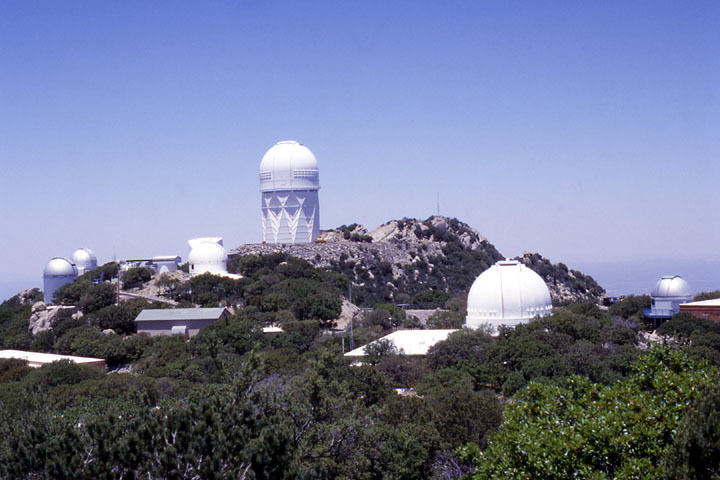 Friday was the day we finally took the bus trip to McDonald Observatory. We rode on an old school bus, which seemed to just barely get us up the mountain to the visitor center and observatory. 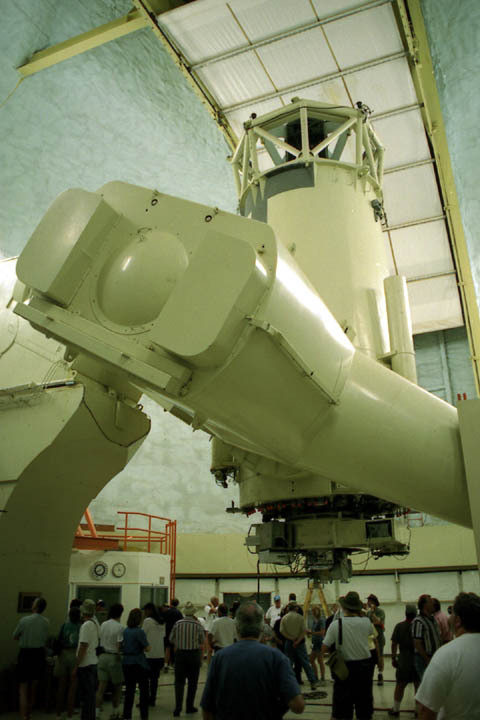 We first viewed the Hobby-Eberly Telescope, the third largest telescope in the world through glass, which has its massive mirror turned away from us. Still a great site though. 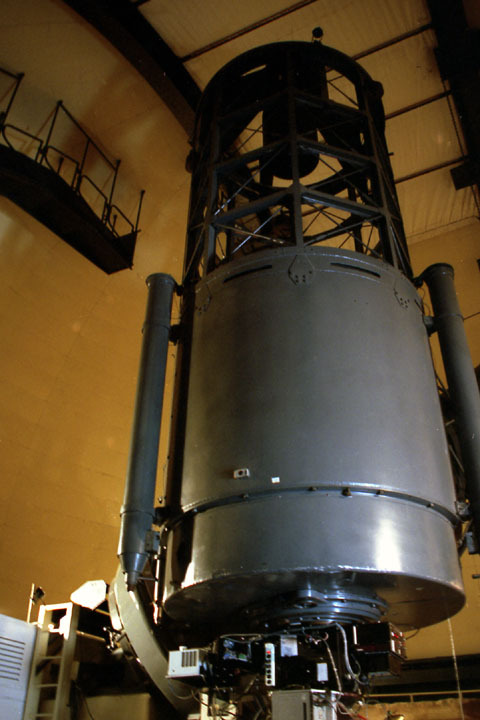 We then visited the Otto Struve Telescope 82", which was the first big 'scope built on the mountain in 1939. 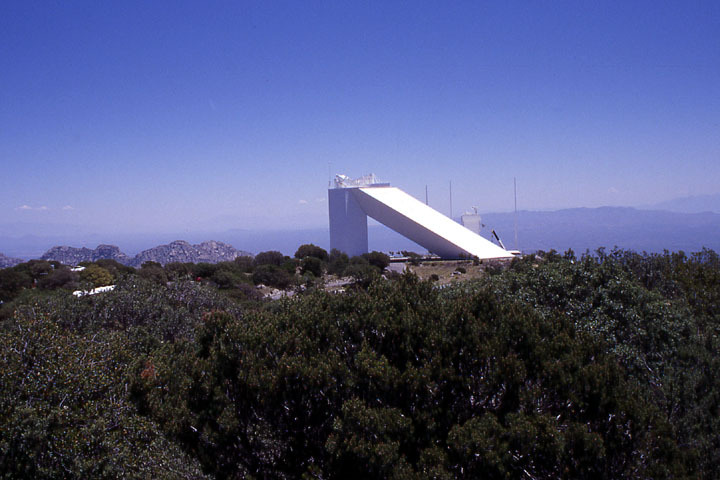 Next was the 107" Harlan J. Smith Telescope dedicated in 1969. After the tour we spent some time spending money in the Visitor Center, which has lots of stuff every amateur astronomer must have. Great T-shirts and hats! The evening speaker was Sky & Telescope Contributing Editor Stephen J. O'Meara who discussed the theory that the Lunar cycles are related to volcanic activity on Earth. This was followed by part 1 of the Great Texas Giveaway. We didn't win anything! We awoke on Saturday to a brief rain shower, which was great for the local residents since they've been going through a drought the past 11 years. It is the desert you know! After attending several of the afternoon presentations Jean, Rich, and I checked out the Fort Davis Historic Site. This well preserved frontier military post was a key defense post against American Indian attacks. The final speaker was supposed to be Sky & Telescope's Editor-In-Chief Richard Fienberg, but he had to cancel due to a death in the family. Stephen O'Meara filled in with a talk on the "Green Flash". Saturday night was excellent despite clouds drifting across the sky from time to time. This was good enough for observing, but not for photography.